A special note: Please read below how adults can obtain their teaching license and endorsements through the Peer Review process in Vermont! On Wednesday February, 8th I was delivered to Escula Peters Public School in Sarchi. Rosemary, Raquel and Ismael, an artist family who hosted me back in October 2011 hosted me again in their home town of Gercia, the town next to Sarchi. They delivered me to Jenny, Escula Peters English teacher who took me in for three days with her two beautiful children. I was welcomed into a very warm and loving family and school. Zaira Rodriguez, the schools principle welcomed me very warmly with all the teachers. Jenny was the only interpreter for me at the school but my very broken Spanglish and sometimes checking with Google Translate, got me through it. The wonderful thing about teaching art and technology in a foreign language like Spanish is much can be taught sharing visually. It is important to know some key words and basic customs but a warm heart, open mind and zest for sharing what you love, goes a long way to bridging a positive, cross cultural, sharing environment! This second to last workshop before heading home was a bit different. I worked with two groups of students, both participated in a very successful Skype meeting with students in Windy Kelley’s classroom, Union Elementary School, Vermont. Jenny and I were able to make good basic connections in addition to visual observations. The students in both countries seemed to marvel in their instant and live communication. Each student was asked to think about a question they had about the others culture. They were given two chances in both countries to ask questions. It was also fun to walk around the school with the computer and share with Vermont students. When I return to Vermont, I was able to conduct two, two hour workshops in Windy Kelley’s classroom. 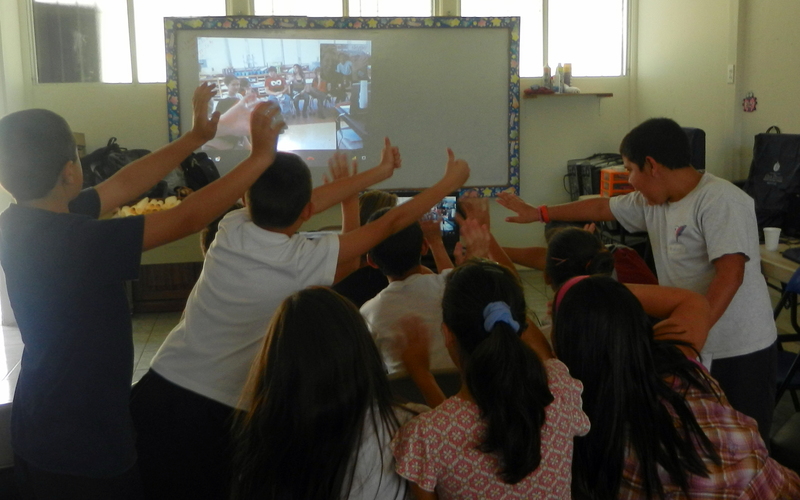 We also had a successful skype meeting from Vermont with the students I had worked with in Sarchi. Currently, I have begun my art teaching license through the Peer Review process in Vermont with endorsements for the next year. As an adult you can obtain your teaching license much quicker by presenting your life experience through the Department of Education. My portfolio; which will take 9-12 months to present, to the Peer Review Board of Education, is an independent curriculum based around Kids Share Workshops, as a Cross Cultural Program Director, centered around Art. I have Union elementary teacher; Windy Kelley to observe and welcome me into her classroom again for another year with the Sister School connection in Sarchi, Costa Rica. My goal is to continue to develop a strong Cross Cultural Curriculum; based on teaching Art Therapy through Technology, the Environment and Exploring, which could be taught by Art Enrichment teachers in the future. 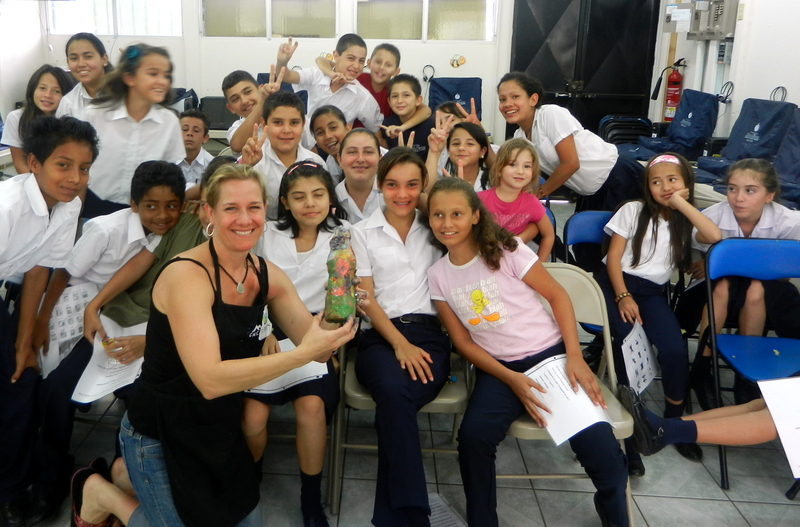 Please join me next time for our last Kids Share Workshops & Sister Schools in Costa Rica at Escula Sistema Cecilia in Poas for an afternoon!